Bloom Dental Group (San Mateo) - Book Appointment Online! 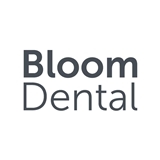 Bloom Dental Group is a modern family-dental practice where we emphasize patient experience, clinical excellence, state of the art technology and giving back to our community. Bloom Dental is located in the heart of downtown San Mateo on B street. We are open 7 days a week and work to accommodate early morning and evening appointments as needed. On our team, we have general practitioners and specialists including an oral surgeon and orthodontist for patient convenience and at our practice we do all procedures from basic exams and cleanings to implants and orthodontics. Schedule an appointment and come in today! I generally dislike any dentist related procedure but today's experience was so quick, painless and professional, I still can't believe it. Thanks Doc. Awesome! One of the most warm, detail oriented dentists I've met. Highly recommend. I am so very happy I finally found a new dentist. Dr Diaz is incredible. She is young, fun, and full of life. You can tell she loves what she does. Bloom dental is a nice, new office and they gave me a free electric toothbrush that they had made for them! I wouldn't trust my mouth to anyone else.